In the spirit of the holiday season, the Jerry Garcia Music Arts record label is pleased to announce the rerelease of Grateful Dead guitarist legend Jerry Garcia and mandolinist great David "Dawg" Grisman's instrumental rendition of "God Rest Ye Merry Gentlemen." The song, also known as "Tidings of Comfort and Joy" is an ancient Christmas carol, dating from the 15th century. The recording originates from a concert performed on December 7, 1991, at the Warfield Theater in San Francisco. The Garcia/Grisman ensemble played this traditional English Christmas carol live on only three occasions. "We're honored to share this bright and simply beautiful live version of a traditional carol with music fans." Additionally, the song is being presented with a new edition of a cheerful Garcia pen and ink holiday-themed drawing titled "Merry Christmas." The piece can be found online in the Terrapin Gallery and is featured in an art collection curated by Jerry Garcia's daughter, Keelin Garcia and his wife Manasha Garcia. 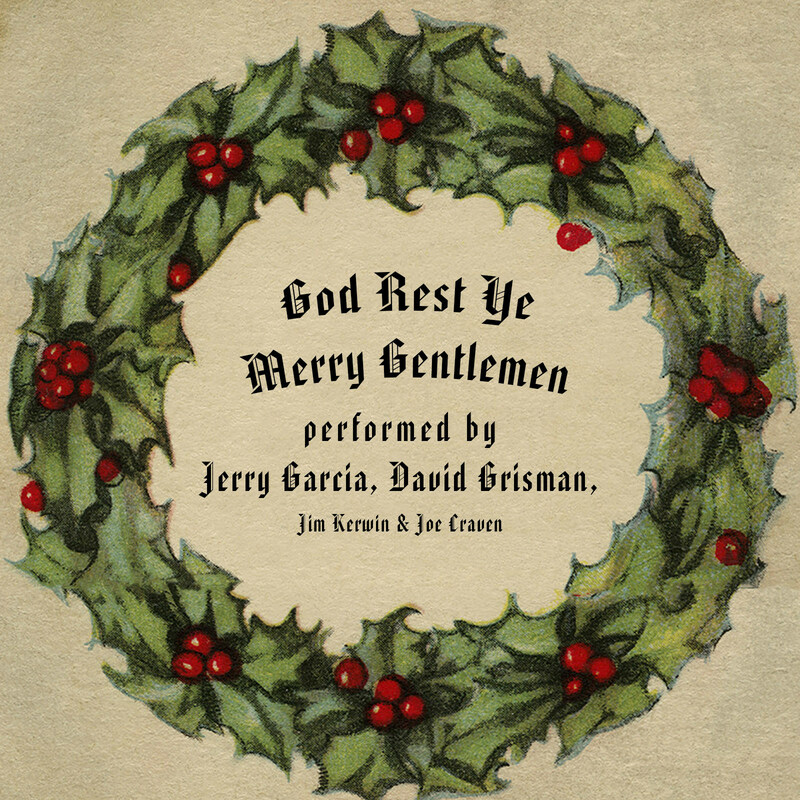 The following musicians and audio engineer contributed to this lively rendition of "God Rest Ye Merry Gentlemen:"
Jerry Garcia Arts LLC is a mission-based arts and music entertainment services company inspired by the legendary musician and artist Jerry Garcia. For further information, please visit jerrygarciamusicarts.com.